Avoid the rush. Skip the turkey. Spend no time in the kitchen and see your family after Thanksgiving Holidays. Spend your Thanksgiving holiday sipping cappuccino in a Dutch café with canal view. Bring home brightly painted clogs, blue Delftware and lots of fond memories. 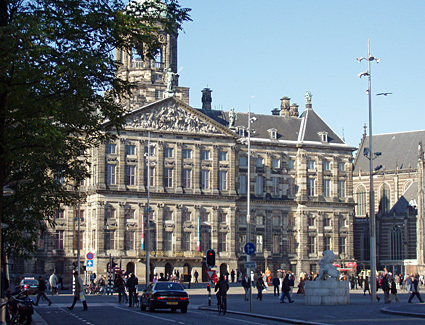 Amsterdam is the perfect destination for a Thanksgiving City Trip. When you spend Thanksgiving Holiday in Amsterdam, you can try to eat Peking duck in China Town or fried rice with satay doused in peanut sauce in one of the many Indonesian restaurants. 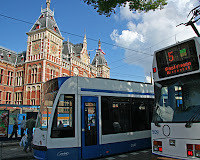 Buy presents and souvenirs in Kalverstraat, Amsterdam's main shopping strip and sniff up culture in the Van Gogh Museum. If you decide to visit Anne Frank House, be sure to get your tickets online so that you avoid the queue. Whatever you do, spending Thanksgiving in Amsterdam is the perfect city trip. Hop on a wheeler taxi, marvel at Rembrandt's Night Watch, seek enlightenment in Europe's largest Buddhist temple are just a few things you can enjoy when you spend Thanksgiving Holiday weekend in Amsterdam. Skip the turkey and go for pancakes as big as cart wheels. The Dutch never eat pancakes for breakfast. They eat them for lunch or dinner. Pancakes are a meal in itself. Pancakes topped with bacon and smothered in black treacle make the prefect Thanksgiving treat. The Thanksgiving Holiday is the perfect time to visit Amsterdam. Airfares and hotel rates are at their lowest. The weather may be chilly, but it's never freezing. It is dark by 5 o'clock. This is ideal for a leisure stroll along the canals and across humpback bridges sparkling with thousands of lights. Thanksgiving is not a holiday in the Netherlands meaning that all shops are open. If shopping is your passion and you are looking for bargains make a beeline for Amsterdam's open-air markets. If it is too cold for the markets, head for 'the nine streets'. Here you will find the densest concentration of vintage and second-hand stores. 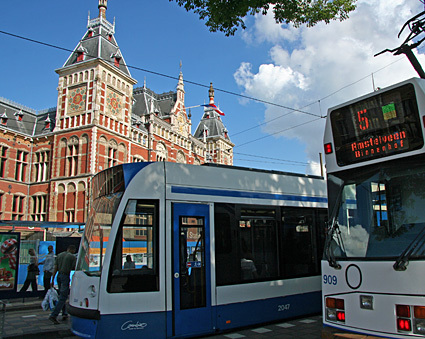 There is no need for you to explore Amsterdam on an organized tour. The city is compact and it is easy to find tour way. 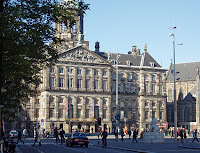 Here is a suggestion for a walk from Centraal Station to Dam Square and what to see on the way. Skinny Bridge or Magere Brug in Dutch is Amsterdam's best-known and most photographed landmark. It makes for a romantic evening walk, when the twelve hundred lamps that festoon the bridge lit up. Go Dutch, rent a bike and cycle across. This will make your Thanksgiving Holiday truly memorable.